Over the past few years, all of the talk around the Philadelphia Flyers has been about their slow approach at rebuilding the franchise. The Flyers and rebuild were two words that had never been used in the same sentence over the past 20 years. With past general managers, the mandate was to spend whatever was needed to build a Stanley Cup contender. When general manager Ron Hextall took the helm, he insisted on changing the culture. He took his experience from helping construct the Stanley Cup-winning Los Angeles Kings and began implementing it on the Flyers. Since joining the team, he has yet to make a big splash but has instead been stockpiling draft picks and top prospects. The prospects that Hextall has drafted are beginning to have an impact throughout the professional rankings. 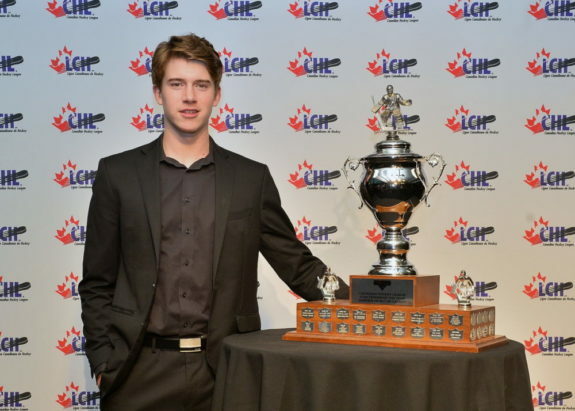 Players such as Nolan Patrick and Oskar Lindblom have proven they belong at the NHL level. Players such as Travis Sanheim and Samuel Morin are on the cusp of being promoted from the American Hockey League (AHL). 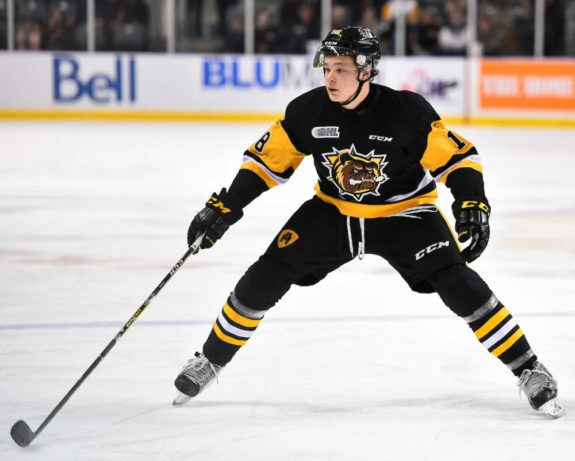 Younger prospects such as German Rubtsov, Matthew Strome, Carter Hart and Morgan Frost are all tearing up their respective leagues within the Canadian Hockey League (CHL). One would have to think that over the past few years Hextall has received his fair share of calls inquiring about the availabilities of his picks and prospects. Having the patience to build a team from the ground up without taking the easy way out is not an easy task. Ownership, players, and fans all have their own opinions and expect results. Fortunately for Hextall, the ownership and players have been really receptive to his approach and it is now paying dividends. Of course, fans are a little impatient, but seeing what Hextall has begun is very exciting. As most fans of the CHL and hockey fans in general know, the prestigious Mastercard Memorial Cup tournament took place over the past few weeks. The Hamilton Bulldogs represented the Ontario Hockey League (OHL), Swift Current Broncos represented the Western Hockey League (WHL), Acadie-Bathurst Titan represented the Quebec Major Junior Hockey League (QMJHL), and the Regina Pats hosted the tournament. Making this tournament even more special is the fact that it was the 100th annual occurrence. The Flyers were fortunate to have two of their top prospects participating in the tournament. They had Rubtsov playing for the Titan and Strome playing for the Bulldogs. Both players had outstanding playoffs for their respective teams and did not look out of place throughout the entire tournament. Rubtsov posted two assists through four games and ultimately helped the Titan win the Memorial Cup. Although he didn’t get into the scoring column, he recorded seven shots on goal as well. Strome’s team result wasn’t as good as he had hoped, but he still helped them, posting two assists through his four games played. Strome added five shots on goal and provided a lot of the intangibles for the team. It’s not only their numbers that were impressive; it was also their two-way play. Rubtsov was a plus-4 and Strome had a minus-1 plus/minus rating. While a minus-1 rating can be looked at as disappointing to some, in a tournament featuring some of the world’s top prospects it is not a bad statistic. Rubtsov especially looked very dangerous throughout the tournament and had some great chances. At a time when Flyers fans don’t have Flyers hockey to watch, these two youngsters are giving them something to look forward to. Neither Rubtsov nor Strome are expected to make the jump to the NHL next season, but getting a prestigious tournament like this under their belts adds to their confidence level and helps with their overall growth. Rubtsov’s professional future is still in question as to whether he will join the Lehigh Valley Phantoms next season or go back to Russia for a season or two. Strome, on the other hand, will be back with the Bulldogs for a fourth season. The Flyers’ cupboard of prospects continues to fill, and having multiple players representing in the Mastercard Memorial Cup is further proof that the process is working. Flyers fans have a lot to look forward to in the coming years.